Fetal Alcohol Syndrome (FAS) is a condition that affects the growing fetus when a pregnant woman consumes alcohol during pregnancy. Possible negative effects on the fetus may include reduced height and weight growth compared to infants not affected by FAS. Pop Quiz for Your Patients: How much alcohol can a pregnant woman safely drink during pregnancy? a) Having an occasional drink with dinner is fine. b) It's OK to drink, but only later in pregnancy. c) There is no safe amount. Answer: c)There is no safe level of alcohol use during pregnancy. The best course is not to drink at all during pregnancy. Researchers from the University of California, San Diego, attempted to collect unbiased, reliable information about alcohol consumption during pregnancy to reinforce results of previous FAS studies. In the past, studies on FAS were often determined flawed because mothers were expected to give honest answers to questions about alcohol consumption during pregnancy after learning the outcome of the pregnancy (and whether or not the infant was affected by FAS). To remove the social stigma and collect more accurate data, researchers paired with counselors who developed a relationship with the woman in the study. The relationship was built on the fact that all information collected would not be connected to the pregnant mother – as it would be reported anonymously. Information was collected during the pregnancy, as alcohol consumption occurred and before the effect of alcohol consumption on the fetus was revealed, post-partum. For the purpose of the study, the researchers used data collected from nearly 1,000 women between 1978 and 2005. Each woman had given birth to a single infant in California. Infants in the study were evaluated by a dysmorphology expert. The expert evaluated infants for more than 72 characteristics, some of which pertained to the study. Using a large number of variables prevented the expert from focusing on FAS characteristics. Alcohol consumption exposure was focused on 0-6 weeks gestation, 6-12 weeks gestation, 1st trimester, 2nd trimester and 3rd trimester. In addition to timing of alcohol consumption, researchers also noted patterns in drinking, including how many drinks consumed per day, how many bouts of binge drinking occurred during pregnancy and maximum drinks consumed on a given day. Increased risk of FAS symptoms occurred across all drinking patterns and timing. Highest increase in risk of FAS symptoms occurred when pregnant women consumed alcohol during the latter half of the 1st trimester. 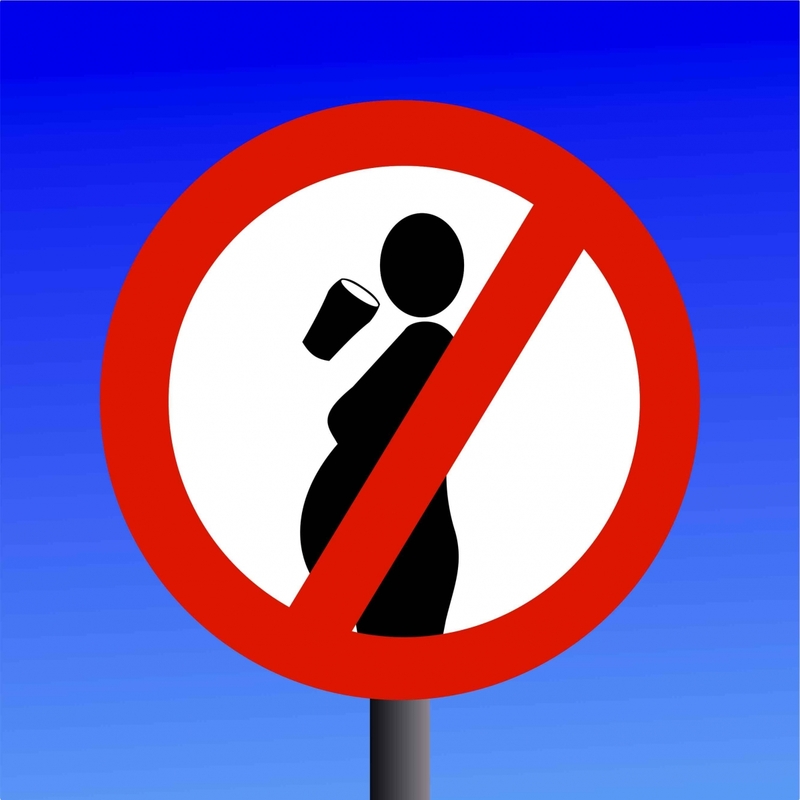 During the latter half of the 1st trimester, with every additional drink women increased the risk of common FAS symptoms, specifically: 25% increase in smooth upper lip, 22% increase in thin upper lip, 12% increase in reduced head size, 16% increase in reduced weight at birth and 18% increase in reduced length at birth. Source: Lyons Jones, Suzanne Lindsay, Donald Slymen, Hillary Klonoff-Cohen, Kelly Kao, Smriti Rao and Christina Chambers. Alcoholism: Clinical and Experimental Research. 17 January, 2012.